All Copy Products, a Denver company that sells printing and IT services, had seven employees when Brad Knepper purchased it in 1999. Now it has 400 employees in 10 offices across four states, and needs more room to house all those workers. Knepper is moving All Copy Products’ headquarters from the northern reaches of Colorado Boulevard to Lincoln Park. The company will take over the top two floors of a five-story building it’s construction at 1535 W. 13th Ave., which will connect to an office the company has next door. It broke ground on the new building in October and expects to move next year. Knepper said the company projects $85 million in revenue in 2018. 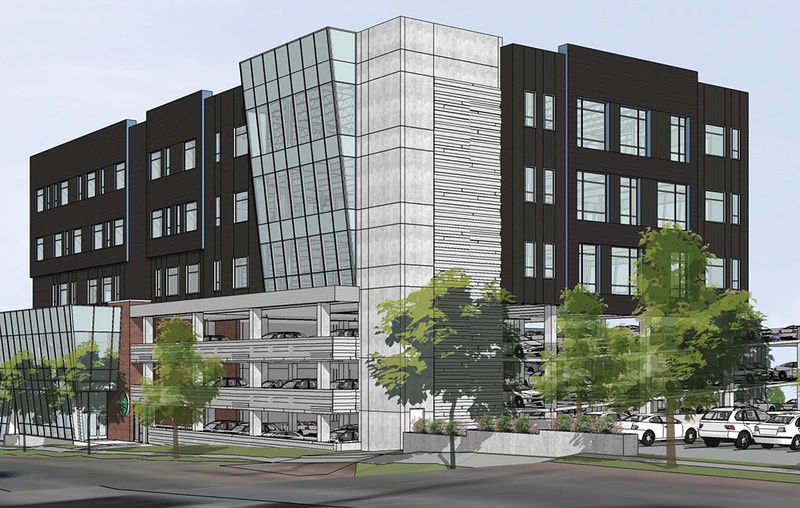 The new structure in Lincoln Park will replace the company’s 30,000-square-foot headquarters at 4141 N. Colorado Blvd. Knepper said it was short on space there and wanted to consolidate its multiple Denver-area offices. That would require somewhere with a large amount of both office and warehouse space. “The only way to get what we wanted was to build,” he said. Knepper said he “lucked out” by purchasing the lot next to the company’s existing 13th Avenue office more than a decade ago, giving All Copy a natural place to build. He said he sees Lincoln Park as poised for redevelopment. “I don’t know if it can ever get to RiNo-type energy, but we think there’s a lot of opportunity there,” he said. All Copy plans to use about 90,000 square feet between the new 81,000-square-foot structure and existing 25,000-square-foot building. About 250 employees will work from the site, Knepper said. 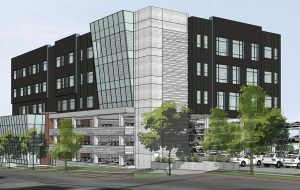 The company is leasing out the 17,300-square-foot third floor of the new structure, which incorporates a 190-space parking garage. 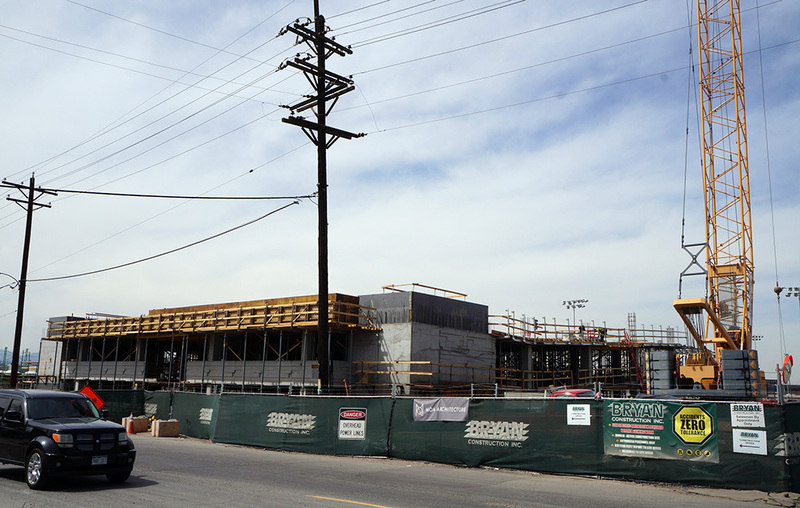 Brian Hutt with Cushman & Wakefield is handling leasing. Knepper said the company built the third floor for future needs. He said the new headquarters is a $34 million project financed with loans from Mutual of Omaha and MidWestOne Bank. MOA Architecture designed the structure, and Bryan Construction is the general contractor. All Copy plans to sell its current headquarters building, Knepper said. It purchased 4141 N. Colorado Blvd. in December 2003 for $1.72 million, according to county records.